Each year, FESTROIA shines its spotlight on a different film producing country. This year, it is the turn of the Czech Republic, which has been at the forefront of international filmmaking since its celebrated heyday in the 1960s. One of its best known films of that era, CLOSELY WATCHED TRAINS by Jiri Menzel was screened here on Sunday evening, with the 76-year-old director in attendance. A gentle satire on Czech life during the Nazi occupation, the film won the Oscar in 1967 as Best Foreign Film. A more recent classic that also won the Oscar is KOLYA, by director Jan Sverak. The film is the second in a trilogy that explores the subtleties of modern Czech life, focusing on the relationship between a concert cellist and the five-year-old son of his Russian lover. Sverak’s third film in the trilogy EMPTIES won the Gold Dolphin award for best film last year at FESTROIA. There are innumerable stories to be told of the harsh life under Nazi occupation for Czech film artists. Among the best of the lot is DIVIDED WE FALL, a powerful drama by Jan Hrebejk that was released to great acclaim in 2000. The film is set in a small town with a childless couple who offers refuge to the Jewish son of their former employer. What everyone involved is called to do for simple survival gives the film its power and its anti-war sentiment. Two more recent films round out the Czech tribute. In VACLAV by Jiri Vejdelek, a story of post-Communist Czechoslovakia emerges that echoes the films of the 1960s by such masters as Milos Forman, Ivan Passer and Jiri Menzel. Based on true events that took place when President Vaclav Havel offered a vast amnesty, the film focuses on another man named Vaclav who lives in a small village and whose autism makes him the town’s local fool, much despised and degraded by the townspeople. When he is forced into a mental institution, his enterprising mother and scheming brother must convince the locals to sign a petition to get him included in the amnesty list….a task that tests the mettle of everyone involved. The film was chosen as the Opening Night Gala here. 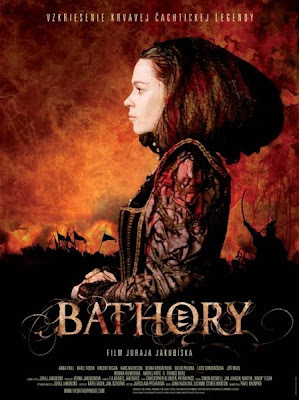 The theme is more grotesque in the historical drama BATHORY, based on the real-life story of Countess Elizabeth Bathory whose infamous cruelty is the stuff of legend. Indulging her privilege with the torture and draining of blood of young women as a way of keeping herself youthful, this 16th century “vampire” is listed in the Guinness Book of Records as the great murderess in the history of mankind. Director Juraj Jakubisko looks beyond the myth to uncover the realities of the court where Bathory is vilified as being richer than the king and that the legend of her cruelty was conspired to vilify her and contain her influence. With a lush attention to period detail, the film is the most expensive production to date in Central European history and has been a considerable box office hit in Czech and Slovak theaters. Czech films are also prominent in the other Festival sections. In the Official Competition, the lone Czech entry is GUARD NUMBER 47 by Filip Renc. Based on a celebrated novel of the 1930s, the film tells the tale of Josef Dousa, a railway guard who returns to his native village after World War I, hoping to forget the horrors of war in his job as a railway guard and in the secure relationship of his young wife. When he saves a man from suicide and invites him into his home, he becomes witness to the growing attraction between his wife and the stranger. The film illustrates all the great themes of the novel….love, passion, death and ultimate punishment. Competing in the First Works section, OPERATION DANUBE by Jacek Glomb brings us back to the days of the summer of 1968, when Warsaw Pact armies were ordered by the Soviet Union to crush the “Prague spring”. When one Polish battalion gets stuck in a small Czech village, unexpected relationships arise that make it clear that both the Poles and Czechs suffer under the same great master. The film is based on a stage play the director mounted in Poland in 2006, which he adapted for the big screen. Festival goers here at FESTROIA have an opportunity to sample an interesting mix of films from the Czech Republic, which continues to mine its specific history to produce films of universal appeal and interest.